Lucifer has kidnapped Gabriel who is weak with amnesia and trapped in the form of a girl. Michael sweeps the streets of LA looking for Gabriel's wings and Abbadon tries to find Lucifer before he loses his title 'Prince of Hell' to a usurper. The girls seemed to quit their gossiping, but it had very little effect on Yuuki's distracted mentality. What a pain... Yuuki thought to herself with a silent sigh. It seemed that the brunette she met earlier that day, Kaori, was sitting behind her. Why the girl chose to sit with her instead of Rocco was beyond Yuuki, but as long as the girl didn't bother her outright there wouldn't be a problem. "Fujioka-san, Could I bother you for your help on this word here?" Feeling her nails digging into the palm of her hand, bringing just a little pain, but focusing all of her annoyance under the surface, Yuuki looked up to see who the owner of the voice was. She vaguely remembered meeting him the auditorium, as well as him carrying off that juvenile brat that assaulted Sora. Slipping out of her seat without a word, Yuuki decided that it was worth putting her book down. At least his question seemed to be school related and helping students was one of her new responsibilities. Upon being winked at, Yuuki took her phone out to briefly write down the names of the misbehaving girls that were mocking Johnny, following up on her threat as Akira seemed to be too busy listening to music. If she didn't serve detentions, she wouldn't be taken seriously, and that just wouldn't do. One way or another, she had to get her emotions and the situations she was finding herself in under control. Letting strangers in, losing her focus, it couldn't happen. She would have to be hyper diligent, her guard would have to remain up at all times, especially at Airdalen as it seemed there was little to no avoiding Rocco, Sora, or both during most of her time there. Kyudo Elites with Sora, she had classes with Rocco and gym with both. It was suffocating. "Are you alright? You seemed out of it there, and I don't think it was those girls who caused it. As a fellow student, I wanna make sure you're alright." Was it really that obvious? For a moment she hesitated, but realized that it would only make his suspect more, "...I'm fine." Why couldn't she just say it naturally? She WAS fine. What did it matter to her what boys at this school did with their time here? It shouldn't... It didn't! Biting the tip of her tongue harshly, Yuuki reminded herself that she had goals and she was above this kind of behavior. If she was being honest, she was disappointed in herself. If someone who didn't really know her at all could catch on, she was definitely slipping. She needed to get ahold of herself and fill the cracks in the emotional barriers she set between herself and other students before her figurative walls came tumbling down for good. She worked too hard, came way too far to let something like that happen. Elite academy or not, she had to persevere. Blocking them out, if that is what it took, she'd do it happily. There wasn't anything Yuuki wouldn't do if it meant moving up the academic ladder a little bit faster. "Also I really do need help with this word,"
Adjusting her glasses as a physical representation of adjusting her composure. Going back to the matter at hand, Yuuki tapped the characters on the page, "Etto... (Meaning: Uhm...) This is... ...Pro.." It took her a moment to remember how the pronunciation worked, a moment of hesitancy making sure that she was about to say it right as she switched from Japanese to the English word. Now that she was the female class representative and the club leader of the school's study group, she felt pressure to get it right the first time, "..Progression.." It was a bit struggled as English wasn't her first language, but she managed. From cram school to studying all on her own, Yuuki spent a lot of time practicing English. Even so, the word wasn't one that was frequently used in everyday conversation so it was a bit of a challenge to her. When class began, Yuuki waved over her shoulder fleetingly as she began to return to her desk, "If that is all, there is an assignment and a partner I must attend to." Yuuki spoke in a courteous but clearly aloof manner as she delivered her parting words. She wasn't the type to open up, but the fact that someone tried to check on her wasn't completely lost on Yuuki. It was a nice sentiment all the same, despite her completely shutting down his attempt to lend an ear. Why do so many people at this school involve themselves in other people's business? Why bother? Why even care in the first place...? Yuuki thought to herself cynically, wondering if there were ulterior motivations behind the intentions of those who seemed to continually intrude upon the matters that did not pertain to them. What did they want? Sitting down, she spun around in her seat to face Kaori, "Alright, do what you can, but I am not getting a bad grade on this, so if you can't do it, hand it over to me." Yuuki instructed indifferently. She wasn't going to argue this, she would check over each flash card for mistakes before submitting them. Another person being required for this work was not going to ruin her grade. She wouldn't allow it. Pulling out blank flash cards from her bag, Yuuki wasted no time in filling out the cards in both English and Japanese. This assignment was almost too easy for someone who went to cram school and practiced the language. Questions and phrases useful for daily life or travel were the main things such classes taught you, so she was confident in her translations. Feeling her eyebrows shift as an uncertain expression crossed her features, Kaori hesitantly nodded, "Sure thing..." She agreed, still rather spaced out. She wrote a few questions on the cards, but when her ability to write in English failed, she scooted the paper over to Yuuki. It was better to entrust that part to the class representative, as she seemed to care quite a bit about getting a good score, "Gomenasai, Kaichou. I'm not good at English..." Kaori apologized realizing that the brunt of the English was being placed on Yuuki's shoulders. Still, her apology felt a bit like lying because Kaori knew that her struggle academically wasn't kept to only the one subject. She had trouble all across the board, even in gym class now that she quit gymnastics a few months back. She was not very strong in any of them. She had to make a lot of improvement, but the motivation just wasn't there. "Perhaps if you had a less disruptive boyfriend you would be able to focus. None at all is ideal when one wishes to focus on improving though." There wasn't resentment coating her words despite how vehemently Yuuki had shut down the girls gossiping about Sora before. Those girls were spreading gossip, wasting valuable time, but it seemed that Kaori was actively trying to do something, in class at least, so she held her with at least some regard for the girl sitting with her. Yuuki was simply stating her own personal beliefs, as it was how she managed to get a scholarship despite coming from such a poor family. Her middle school wasn't the best place to get an education, the books were severely outdated so she had to make up for it with hard work in her free time. Cram school, tons of time in the public library, her life revolved around her studies, and in the end it seemed to have paid off for the most part now that she was sitting among the rich and elite. Still, was it overstepping to say something like that to her classmate? Yuuki wasn't used to offering advice, but she could see that the other girl was making an effort. From the crumbled up flashcards on the desk that were failed attempts at writing the English translations to her determined expression, it was obvious, "...That was probably out of line, Gomenasai." Yuuki apologized, but in her inexperience with that as well her tone wasn't as sincere as it could be and it was presented in a way that was as nonchalant as discussing the state of the weather with a stranger. Dropping her marker, Kaori quickly bent over and fumbled to pick it up off the floor, "H-He's not-" She couldn't say that. Who could and couldn't be trusted with that information was unclear. She didn't know her classmates well. Even if the class representative wasn't a bad person like the senior was, what if she came to judge Kaori for entertaining a feigned relationship just to avoid an aggressive senior instead of reporting him? She remembered how prickly that class president had been earlier that day. 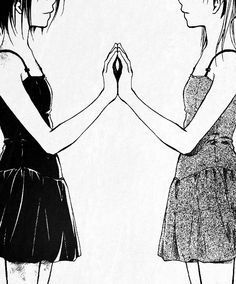 The last thing she wanted was to get on her bad side, "You weren't... " Kaori sighed in defeat. What else could she even say that wouldn't sound like a pathetic excuse or incriminate her situation? Still, it felt nice to discuss things with another girl, especially one that wasn't holding back just because she was the 'girlfriend' of the guy in question. Either the class president was confident or fearless, either way, she could respect that, "He really is...distracting." She thought back to what happened in the hall and visibly shivered. It was the last thing she wanted to think about in class, but now that Yuuki brought him up, it was an unavoidable thought. Just what was he thinking? How could he do something like that without even a trace of difficulty? Kaori didn't even realize she was clenching the marker until the joints in her thumb began to ache as it pressed firmly into the plastic. Slowly loosening her grip Kaori quickly scrawled down her next idea for the assignment in Japanese to busy herself, "You would know too though, right?" Kaori may have taken several steps back in her social abilities, but she wasn't an idiot. He went to sit with Yuuki after getting Kaori's number, and he threw a bit of a tantrum about her denying that he was special, comparable to the two he had thrown with her already, but there was a crowd of potential witnesses and she was the class president. While she was mostly speculating, she assumed that there was something that he had to have done to inspire the class president's comment, well, aside from what little she knew that Yuuki witnessed in the hall. Still, Kaori was almost certain Yuuki didn't even see the worst of it. Given Yuuki's status as a student elected authority figure, she figured that they would have received a stern talking to from the violet-haired girl if she happened to see the problematic side of what happened. She saw that Yuuki went wide-eyed and her suspicion was verified, a brief knowing smile crossing her lips. Watching the class representative clam up and retreat into homework was disheartening, but at the same time at least she wasn't the only one struggling. It left Kaori with an odd sense of camaraderie. At first Yuuki wasn't sure if that question would lead to unnecessary conflict, so she did her best to avoid it altogether and drown in the assignment, but that was even more suspicious than any stammered answer would have been. Is this going to be a problem now...? Yuuki thought to herself wearily. In the past, she might have felt threatened if this discussion had been about Kei or about any potential sincere and dedicated relationship in the past for that matter... but she wasn't deluded enough to get hung up on a guy so easily, not anymore, especially when it was baseless and fabricated. Boys were unreliable after the novelty of a girl wore off. She knew that all too well after what Kei did to her, but it was something she barely had to remind herself of as she witnessed it every day from overhearing as a relationship ends because of cheating on the side of a street for all to hear all the way to watching grown men buying last minute jewelry and knockoff purses from shady vendors for their wives because they forgot some special occasion or another. She wasn't going to let a boy get in between her and other girls. Girls needed to stick together because they needed someone on their side. She wasn't going to let a boy injure her odds of making a new friend. Not a lot in common, but it's a start. Kaori thought to herself, a little amused by their shared predicament, but only a little. She would have ultimately preferred a conflict-free school life. Somehow, it seemed even though the conversation cut off that it wasn't necessarily awkward. There was an unspoken understanding in the silence that Yuuki was somewhat confused by. Why wasn't she angrier? More offended? Yuuki couldn't even deny that something had happened, yet the other girl could still smile at her like that. As baffling as it was, they had an assignment to do. Shaking her head with a quiet laugh, Yuuki doubled down, "You're certainly... very strange when it comes to your boyfriend, Himewari-san..." Yuuki replied a little delayed, softly laughing afterward as she wrote, but there wasn't another word on the topic from either of them. It was settled. They each knew what they needed to about the other for now.